Ecotourism is not necessarily a new concept but the name does encompass a number of conservation minded philosophies under one umbrella. The short answer is that ecotourism means traveling without a negative environmental impact. However, the concept goes farther than that. It includes not only a viewpoint of caring for the environment but also contributing to it. That contribution should support attitudes and activities toward conservation, not only of the area you are visiting, but of the people who live there as well. That doesn’t necessarily mean throwing money at the locals, but might include being respectful of their culture. When shopping, buy products from that community and be aware which items are the most environmental friendly. Lastly, educate yourself as to what environmental efforts are needed and underway in the area you are visiting. That’s ecotourism in a nutshell, described in a single paragraph. 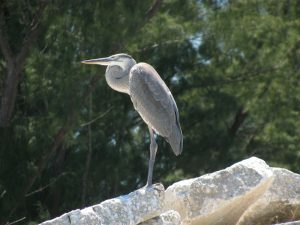 We hear more and more about ecotourism here at our vacation rental office in Clearwater Beach, Florida. But what opportunities exist for that kind of travel here? To be honest, we do not have a culture here that is all that susceptible to harm from visitors from afar. We are quite accustomed to peoples from other lands, as well as other states within the U.S., coming to spend time in our home towns. We don’t mind at all! That being said, what is left for those who want to practice ecotourism? The good news is that we have plenty of conservation efforts continuously in operation along our coastlines here in West Florida. In fact, we have a whole bunch. And, those efforts go hand in hand with ecotourism. Why? Because many of our conservation efforts are aimed at making sure visitors don’t create negative effects on our wildlife areas and ecosystems. When visitors become involved in those efforts, it’s the best of both worlds. Our first, perhaps largest effort, is toward bird nesting sanctuaries. 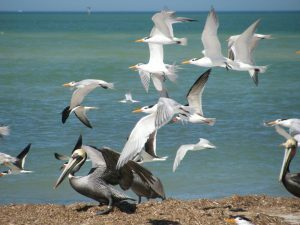 Chances are, if you are on a beach on Florida’s west coast, you are in or near to a bird nesting habitat. Birds fly here from the northern states in droves to winter or breed. Those numbers are added to the already large bird population of Florida. Making that equation work with growing numbers of Florida residents and visitors is a challenge. When you walk the beaches toward the less frequented areas of the coast, you will find signs warning of bird habitats. Fortunately for the birds, those locations aren’t all that appealing to most people. They include interior areas of beaches where tall grasses or low shrubs grow. Because of the ever-changing shapes of the sandy shorelines, those surf-encroached areas are not used by the birds, and so walking along almost any beach does not interrupt their nesting sites. Ecotourism really comes into play when you visit an uninhabited barrier island on our coast. Out there, most of the restraint comes from you. The interior grasses of an island are prime nesting habitat and should be left alone. Many of our barrier islands are so small, that nesting ground area can span as little as twenty feet from one beach to the other. When you find signs stating that a section of an island is a preserve, be sure to observe the signs. A stray patrol boat might spot you if you trespass but you will quickly find that Florida residents are quick to jump on board in protecting those lands. If you follow U.S. media reports, you probably already know that things can get a little wild when Florida residents get upset. That means respecting the outlying environmentally sensitive areas of the West Florida coastline is truly ecotourism. It protects native species while also taking care not to upset the sensitivities of the local populace, two important ecotourism trademarks. That advice is aimed toward what you might do on an ordinary vacation day, not going outside the bounds of what you might do during a week at the beach. If you want to take your ecotourism to the next level, opportunities exist here to do so. 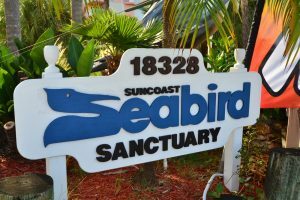 Sea life that is actively protected in our area includes dolphins, birds, sea turtles, stingrays, shellfish, and manatees. Believe it or not, you can take an active part in conservation efforts for all of those animals. Shellfish live on beaches that people frequent. When you come across a living creature on the beach, leave it in peace. 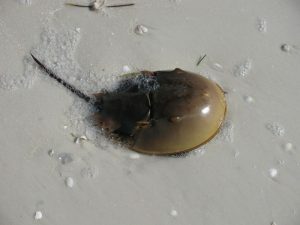 They are most at risk during low tides. Collecting a starfish that is still alive is not a good example of ecotourism. As far as stingrays goes, that’s another story. The idea there is to respect their territory with a mutually beneficial result. Let them know you are wading through the water by shuffling your feet and they will return the favor by not stinging you. Trust us. It’s a good exchange. When it comes to dolphins and manatees, you can take part a little more actively. Boating in waters frequented by manatees means practicing safe boating and obeying speed restrictions. Slow speed areas give manatees the chance to get out of the way of boats. To know where you might encounter manatees while boating, the answer is “Florida.” Yes, the whole state. Dolphins are much more mobile and intelligent than manatees and will avoid boats. The challenge with dolphins is realizing they’re not tame animals and they should be respected as wild, which includes not feeding them, although we’re pretty sure that doesn’t work anyway. Laws governing both mammals include their protection from hunting, fishing, pestering, and even touching. 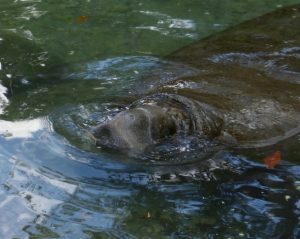 You can see and sometimes swim with manatees in certain parks if you are interested in an up-close encounter. 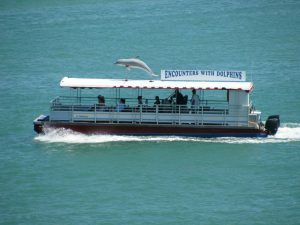 Dolphins can be encountered from boats, most often, so be sure to get out on the water during your vacation. Sea turtles may be the most fragile life cycle on our coast and require the most protection. Turtles lay eggs on every beach and coastline of West Florida. That means, if you are on the beach in West Florida, you are sitting on a potential sea turtle hatchery. You may be reclining a couple of feet above a nest that no one knows about. More often than not, the turtles leave signs behind that they’ve been there and teams of volunteers erect make-shift fencing around the nest. If you see four sticks in the sand with yellow or pink tape run between them, leave the area alone. There are baby turtles incubating below the surface. Sometimes it is possible to volunteer to help protect sea turtles. The Clearwater Marine Aquarium leads the efforts at Clearwater Beach. See their website for details as to whether you will be able to help out. 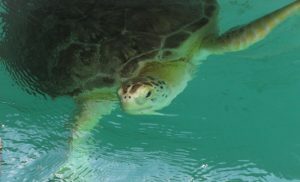 They have a sea turtle nesting wish list that is easy to fulfill.